Site: Machine cut, hand finished, painted with grass, roads, walks, water features, landscaping, cars & people. 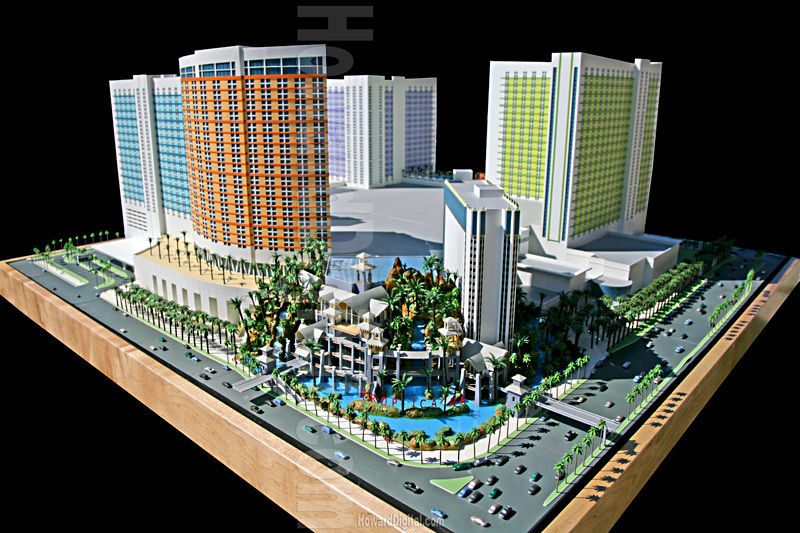 Buildings: Full color laser cut acrylic Architectural Models buildings. Tropicana Resort & Casino located at 3801 Las Vegas Blvd S, Las Vegas, NV 89109, is conveniently located across from the MGM Grand. Featuring over 1800 rooms and a crystal room casino, you'll have no problem testing your luck here in what is called the loosest slots in Las Vegas!